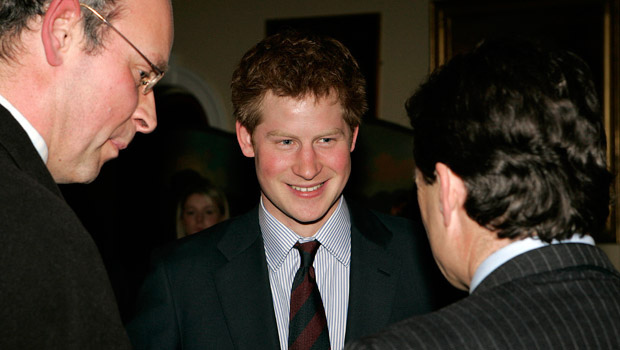 News agencies around the globe are today reporting on new evidence that the mobile phone of British Royal Family member Price Harry was hacked sometime in the last few years whilst attending the military training college at Sandhurst. The revelations came as the investigation into £100,000 a year hacker Glenn Mulcaire reaches its final weeks. So far, the house of Windsor have refused to comment on the issue, but experts and insiders are predicting a statement will be released later on today. You may remember Mr Mulcaire from the government phone hacking enquiry launched at the beginning of 2012 thanks to the discovery that the phone of murdered schoolgirl Milly Dowler had been tampered with, and the potential that important messages and evidence had been wiped from her voicemail system. In much the same way, evidence suggests that Prince Harry’s own voicemail service was accessed by the culprit alongside literally thousands of other politicians and celebrities. The information obtained from the iPhone of this particular Royal holds no threat to national security, but could leave him looking a little less smart than most people would currently consider him. Allegedly, the first stolen message was destined for Harry’s private secretary, and was a plea for help and extra information on the topic of an essay he was writing for a course. In itself, this isn’t terribly troubling, but his lack of foresight is astonishing. At the moment in the UK, many reputable firms like UKEssays offer services that will deal with this sort of issue, and with the money he’s got, one does start to wonder why he wasn’t utilising them. The second message stolen from the Prince’s mobile phone detailed an incident involving his brother and heir to the throne Prince William, who had apparently been shot with blanks and captured whilst on night ambush exercises somewhere in the Scottish highlands. Though you probably wouldn’t think this is a real issue, it doesn’t do much for his “big man” image. As Mr Mulcaire was being employed by the Andy Coulson and Rebekah Brooks at the time from the News Of The World tabloid paper, many people have been trying to get hold of their former boss Rupert Murdoch for comment, but unfortunately he’s been unreachable for the last few days. His apparent disappearance is thought to be a damage containment tactic, so nobody has raised any real concerns. Still, as the newspaper is now out of business, there’s little he’ll have to say anyway. So, as Prince Harry joins a long list of public figures who’ve suffered at the hands of dodgy tactics from dodgy reporters and investigators, many experts are predicting the practices of yesteryear will soon be done away with. Lord Leveson released his conclusion on the matter only a few months ago, and although his recommendations haven’t yet been implemented, it certainly looks like the days of a truly free press in the UK are numbered. Next story How Can Hot Tubs Help Those Who Suffer From Arthritis?